The base currency is EUR and the counter currency is USD. The EUR/USD price shows how many American dollars are needed to buy one Eurozone’s euro. Bringing together two largest global currencies, the pair belongs to Forex majors along with GBP/USD, USD/JPY and USD/CHF. EUR/USD has quite a low bid-ask spread and is considered the world's most liquid currency pair. Traders buy or sell it heavily, provides for relatively high volatility levels. Liquidity coupled with volatility makes EUR/USD an attractive trading instrument for newcomers to Forex. EUR is an official currency of the European Union. On 1 January 1999, it was released as a virtual currency unit for cashless transactions and accounting purposes. The euro banknotes and coins were issued on 1 January 2002. The euro is unique in that it’s a common currency for 19 out of 28 members of the EU, which are referred to as the Eurozone. Every day, about 338.6 million people use the EUR for payments, making it the second most popular and heavily traded currency unit. The European Central Bank (ECB) is responsible for the monetary policy in the EU, thus, controls all the euro-related issues. ECB is in charge of maintaining price stability and defining key interest rates for the Eurozone. The US dollar is the world's most widely traded and held currency. USD plays a unique role in international finance. Global central banks hold a large portion of their foreign currency reserves in the US dollars. Moreover, 23 countries peg the value of their currencies to that of USD. For example the Hong Kong dollar, Venezuelan bolivar, Bahrain dinar and United Arab Emirates dirham are fixed to the American dollar. Many countries choose to use the dollar as an official currency. Among them are El Salvador, Zimbabwe, Ecuador, Panama, East Timor and more. Also referred to as the greenback, the US dollar is controlled and issued under the Federal Reserve System (Fed). The Fed manages the entire monetary policy of the country, controls the money supply and manipulates interest rates. What are the key drivers of the EUR/USD price? One of the key factors is the economic health of the USA and the European Union. If the US economy grows faster than that of the EU, USD will consolidate against the euro, and vice versa. If you want to speculate on EUR/USD, you have to closely watch reports released by two related financial institutions – the US Federal Reserve Bank (Fed) and the European Central Bank (ECB). Pay special attention to the adjustment of interest rates. ECB makes interest rate announcements once a month; the Fed does it eight times a year. Overall, when the interest rates in key European countries exceeds those in the USA, then the euro usually strengthens. Another major factor affecting the EUR/USD prices is employment numbers. In the USA, follow the non-farm employment rate released on the first Friday of the month. 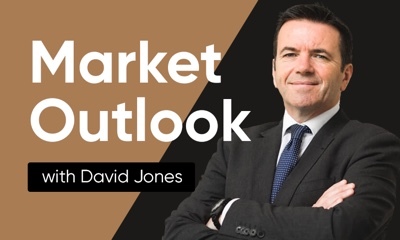 An upward employment trend pushes the dollar up, while a downward trend makes USD weaken. As for the EU, keep an eye on consolidated unemployment statistics for the Eurozone as well as major individual economies, such as Germany and France. At Capital.com, you can follow the recent EUR/USD chart to speculate on the price movements of the most popular Forex pair. 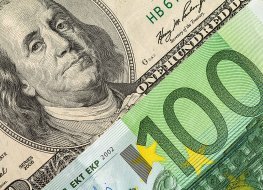 Why is Euro / US Dollar important to traders? Trade EUR/USD CFDs, other major currency pairs, indices, shares, cryptocurrencies and commodities through Capital.com’s award-winning platform. No commission. FCA and CySEC regulated. Up to 1:200 leverage (professionals only). Available on web and mobile. AI technology. Trade now.